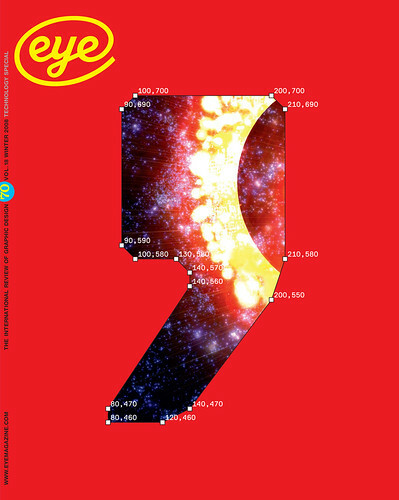 Eye Magazine | Blog | Eye 70 covers on press! Eye 70 covers on press! Eye no. 70 is on the way,with features about ‘digital craft’, DixonBaxi, theatre programmes and the importance of ‘making it real’. 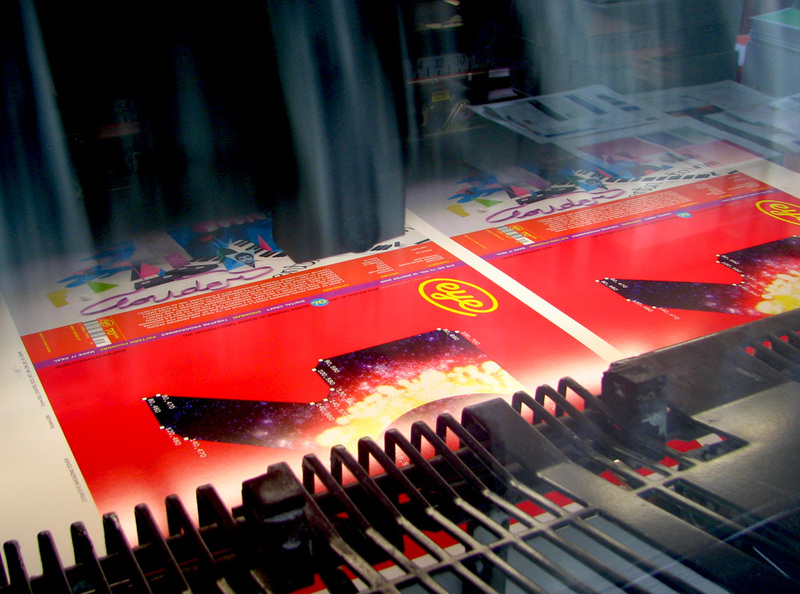 Here’s Jay’s snap of the covers on press at Beacon, above. And the cover artwork, below. The new cover features work by Norm and Robert Hodgin (see ‘The hero of Flight 404’).